Could we see $100 per barrel oil in the next 12 months? The reason why is because the only person on the planet who can $100 per barrel oil happen is very motivated to do so. We need to remember that it really is Saudi Arabia who controls the global price of oil. In 2008 it was Saudi Arabia who cut production in order to create the rapid oil price rebound from $30 per barrel. In 2015 it was Saudi Arabia who ramped up production into an oversupplied market in an effort to bankrupt U.S. shale producers. If Saudi Arabia wants to move the price of oil, they can do it. 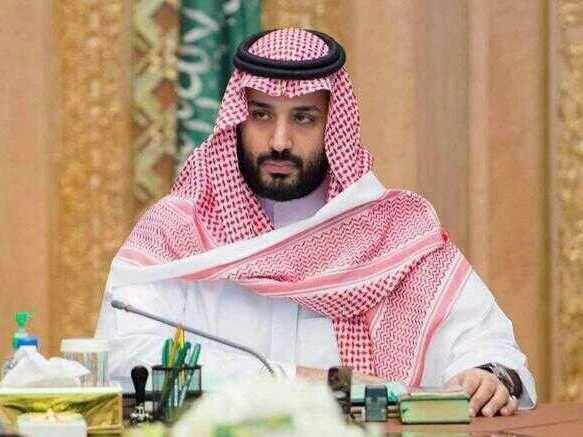 When Saudi Crown Prince Mohammed bin Salman (“MBS”) assumed de facto power of Saudi Arabia he brought with him a new vision for the Kingdom. MBS has a vision for a Saudi Arabia that is not dependent on oil exports. The Prince has seen the writing on the wall. It says “electric car” and MBS knows that his country needs to get out in front of this threat. MBS calls his plan Saudi Vision 2030. The Prince intends to build an entirely new economy in less than 15 years. Whether that is achievable or not is more than a little uncertain. What is certain is that he must spend a ridiculous amount of money trying to do it. We are talking about trillions of dollars. With Saudi Arabia’s foreign reserves depleted by the oil crash there is only one place for the Crown Prince to get the money he needs for his bold plan. MBS is needs to milk that Saudi oil cash cow for every penny and then some. That milking needs to start right now. MBS rolled out his Vision 2030 Plan in 2016. 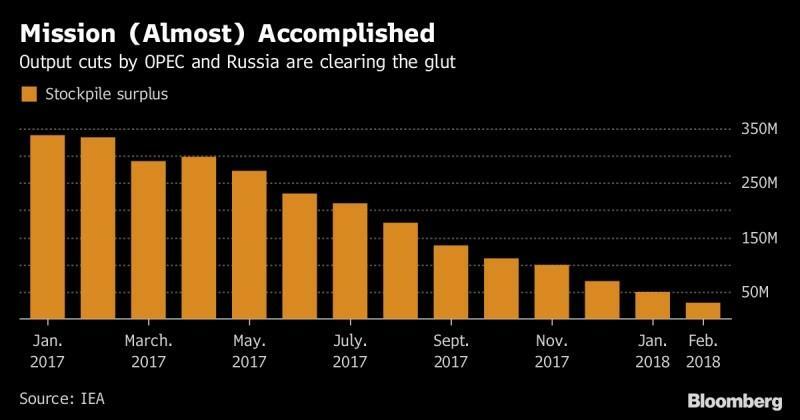 Not coincidentally, it was in 2016 that Saudi Arabia pushed OPEC to finally decide to cut production and get rid of the oil glut. MBS doesn’t just need oil prices higher to increase annual Government revenues. He also needs oil prices as high as possible to maximize the auction price for the Saudi crown jewels that he is selling — a portion of Saudi Aramco. The IPO price for Aramco is directly related to the price of oil. With the IPO expected within the next year there is a definite sense of urgency to get oil prices up now. A bullish tear for oil prices would get investors excited to get a piece of the Aramco action. MBS needs to make the oil glut a distant memory and create some noise about a shortage of supply. This week—with oil prices rising thanks to OPEC’s production cuts—the world went looking to get a hint of what Saudi Arabia would do next. The Market is thinking that since the oil inventory glut has been worked down it would make sense for OPEC’s production cuts to be eased. Instead, we learned—from multiple sources—is that behind closed doors, Saudi officials are now talking about $100 oil. There is currently no talk of easing back on the production cuts that have global inventory levels falling rapidly. All of a sudden we have an oil market with a normal amount of inventory that is HUGELY undersupplied on a daily basis. You can see that daily undersupply from how fast inventory levels have been whittled down over the past nine months. Inventory levels have normalized and are still falling fast. Another six months at this pace and you are going to be hearing about oil shortage on a regular basis. In other words…..it is GAME ON for energy sector investors! Now here is the rub. The investing public gave up on the energy sector in 2016. Companies at this point aren’t even priced for sustained $65 oil — never mind the $100 per barrel oil that may be coming. It isn’t time to stick your toe into the energy sector. It is time to jump into the pool. It has been years since there was an opportunity like this to take advantage. This is the time to act, but not in a careless manner. Before you jump you need to make sure you are jumping into the right companies. I’ve identified the perfect stock to take advantage of oil prices continuing to rise. I buy energy companies that can do well when oil prices are low and mint money when oil prices rise. That is why my OGIB portfolio has continued to grow through low oil prices. I believe this company is the best risk/reward opportunity in the energy sector today. Better still…..the company pays a significant, growing dividend. Just click HERE for a free look at this great company.